People have started writing interesting articles about monetization of our politics. Yea, indeed money answers all things, there is one thing it will always fail to buy, and that is credibility. But do politicians and their fanatics value credibility today? The credibility of our politics has been absolutely mired by the role money play. I am not saying money is evil or shouldn’t be part of our political permutations. My point is, its use in pursue of political power intra and national has broken the fragile conscience of young folks. In the 60s, 70s 80s and early 90s, this wanton and reckless showmanship of wealth and power was very minimal, politics was about good and revered name. The big six and other pre- independence nationalists and those of their exclusive class, were fabulously rich, but with good name and an undying passion to deliver their people from the shackles of colonialism and imperialism, they fought their way up, and tormented the British with their fine, coherent rhetoric and sound argument. Justice Sai wrote a piece on how our university students used to write powerful articles on their ideological tradition and political issues in the country, how university students argued on ideological lines and defended their ideological beliefs with facts and facts. We need more of such reminders and will recommend that powerful article to my young folks. What we witnessing today is gradual putrefaction of our patriotism and the seed of corruption being sown in the soil of strong emotional attachment to money. Politicians spray ill gotten wealth on the political terrain to lumber their way into political office. 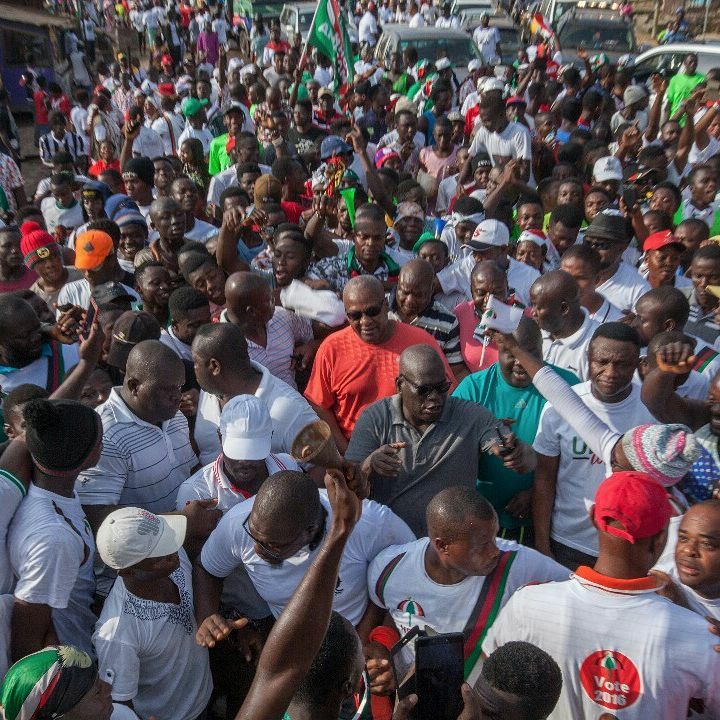 It is no more about competence, but how many bags of money you can spray to buy the conscience of the electorates, what we witnessing is the blatant hijacking of our politics by self serving money bag, who wield their short intellect to swindle Ghanaians of their right to self determination and decent living. I am against the use of money to massage minds and feelings. But can we stop the perpetrators from deepening this dangerous phenomenon? Let’s not confuse monetization of our politics with campaign funding. After the 2016 election I wrote few articles on this particular issue. I advised comrades consider the party’s financial position and funding of its activities in their permutations. Yes, the pain was rocking hearts, some took certain decisions based what they heard from colleagues etc. Campaigning is an expensive endeavor. Usually, candidates are either independentiy wealthy or supported by wealthy friends and powerful organizations. Travelling across the country, adverts and other campaign necessities are expensive. The candidate will have his campaign manager and dozens of people working behind the scenes to promote his agenda. These people all have to be paid and the work they do also costs money. It is not only about turning to Facebook and other social media platforms for free propagation of your message and adverts. Even with social media communication, the candidate and the party will have to recruit experts, pay them to run their site, post messages on Facebook, write articles etc. They will have an entire team of paid employees working on free networks. Every election cycle there is more and more money spent on campaigns, with more and more groups entering the fray. The story isn’t going to be different in 2020. In fact the NDC and whoever emerges the Presidential candidate will need more resources to battle this administration. I am not saying John Mahama is so so rich or richer than the other aspirants. I don’t know how much coins and papers he has in his account so cannot and will not make any emphatic statement when it comes to his financial strength. What I know and can say without watching my shoulders is that, he has thousands of admirers across the globe including heads of powerful multinational companies, Presidents, Prime Ministers etc who will be ready to support his comeback anytime he puts a request. We must be careful here because, a candidate who doesn’t have adequate resources for the national campaign will fall on special interest lobbyists and the Npp. The Npp will try to influence some influential persons in the NDC including aspirants or candidate with inadequate resources. I also touched on the west Africa network. We need a leader or candidate who understand the dynamics in the subregion. Happenings in Nigeria currently, the Obasanjo factor, the Atiku factor etc are all examples of the dynamics. Apart from the party’s support, whoever emerges the candidate must raise and use private funds to finance his campaign.